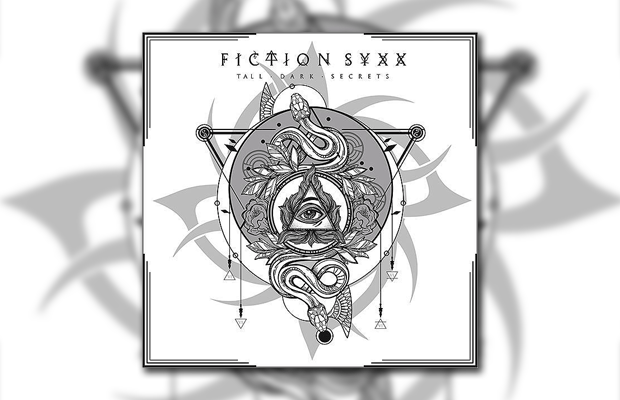 Fiction Syxx is a brainchild of singer and guitarist Mark Allen Lanoue, who was joined by bassist Tony Franklin, guitarist JK Northrup, keyboardist Eric Ragno and drummer Rory Faciane, for the release of the group’s debut album ‘Tall Dark Secrets‘ (review here), out now via Melodic Rock Records. In a new interview, Mark speaks for Prog Sphere about the creative process behind the album, its message, and more. Define the mission of Fiction Syxx. The mission of Fiction Syxx is to deliver a defined sound with songs that have meaning and musical prowess. A sound that is an alchemy between AOR Melodic/Main Stream Hard Rock & Progressive. The name of the band is derived from several factors. One being the mystique behind the numbers associated with my birthday 6/6/66. To some this number represents the good (the angels number) to others the bad (the devils number) and there are many myths and beliefs associated with the number. The most famous of the series of sixes is the 666, of course. Tell me about the creative process that informed your recently released album Tall Dark Secrets and the themes it captures. The creative process for me is always a mixture of storytelling, musical formulas, a little improvisation, and the freedom of others in the process to shine via their own talents and influences. Working with such awesomely talented musicians such as Tony “The Fretless Monster” Franklin, JK Northrup, Eric Ragno, and Rory Faciane along with the other amazing guests on this release really helps one open up too many possibilities. I was inspired by them all throughout the process of writing and recording this release. The original premise of the CD began with the track “Welcome to my Nightmare” followed by “Given Sight”. The overall direction was in areas that I am most fascinated with such as the spiritual realm, symbolism, etc. Of course, there is a little of the ole LOVE & LIFE mystique to the release as well. What is the message you are trying to give with Tall Dark Secrets? That we can remain creative, make statements and tell stories in musical compositions and deliver songs that move us and make us think and wonder about things other than the latest media story and drab that fills our everyday life. The message is that there are many things out there that are intriguing and thought provoking. And we should have an open mind to many of the things around us that we tend to block out and dismiss. After all, I am the proverbial dreamer that likes to work every day toward fulfilling dreams. Sometimes our dreams get caught up in the day to day activities that are often buried under our futile complaints and stress of daily life. “Reality was once the tapestry of the dreamer!” So, we should, indeed dream. However, while doing something about making those dreams come to life. Often, this means we should look beyond ourselves. This release was a mixture of natural flow, thoughtful execution, followed by the addition of carefully crafted parts to create a cohesion throughout the songs. This meant that we had to think about everything from hooks to time signatures/tempos. Since the musicians on this release are such pros, all their tracks were carefully recorded much like an architect would approach the foundation of the design. There were some changes made along the way for the betterment of the songs, of course. I took the original iPhone recordings and worked on the melodies by singing into the iphone with the original scratch track playing in the back ground. Much of this was done while riding from place to place in my truck. Sometimes the melodies were that of meaningless words and others were based on lyrics that were already written or partially written. The recording process would start with a click track and a draft guitar. Rory would take that scratch track and record the drums. The process thereafter was much like building upon that foundation of drums and stacking all the other parts on top. The tracks were then sent around to JK, Tony, Rory, and then the other guests on the release. The individual tracks along the way were taken in by JK who would mix, produce, and master the songs. Since the musicians were all over the globe and sometimes working on other project and on tour; it was quite the task of getting everything into a cohesive set of tracks. However, the musicians were all so wonderful to work with and they put much care into what they recorded and delivered. Can’t say enough good things about them all. How long Tall Dark Secrets was in the making? It took about 14 months to finish Tall Dark Secrets. We had about 15 tracks, but decided to narrow the tracks down to 11 to release. There actually is a song called “Tall Dark Secrets.” It did not make it onto the release that has the same name. It then took several months to release it. My influences are vast. I try to find the good in all types of music. However, I do have my key influences on vocal, and on guitar. Styx, Fates Warning, Queensryche, and the list goes on and on… on vocal Dennis Deyoung, Tommy Shaw, Tony Harnell, Dean Fasano (RIP), John Arch, Rob Halford, and so many others; I can’t even list them all. I must say though, that the core musicians and the guests had complete creative freedom on the tracks and they molded much of what I started with into what it became. They all ROCKED this release, indeed! Well… Technology has numerous effects on music from writing to selling. Now, instead of like the old days, not everyone has to be in the same room or in the same state or country for that matter. The days of sweating it out in a basement or practice hall together as a band has become less prevalent than years past. The new MODS, recording devices, and software have allowed musicians to reduce the size and cost of much of what they used to use and files can now be sent to recording studios that could be hundreds and thousands of miles away. On the flip side, the internet age and the technologies that allow all the downloading of music has been the biggest detriment to the industry. So technology has its good points and its very bad points in regards to music. Anyone that eats and breaths music, as it is indeed a part of me and other musicians that I know, sees purpose in the music; in that it is a vehicle to send a message, to make someone feel a certain way, and to provoke thoughts and feelings. To many of us artists, it is like a spiritual connection between the artists and those who listen to the music that we so love to create. Right now, the plans are to get Tall Dark Secrets in front of as many people, listeners, fans as possible. There are videos coming. We are planning some shows for next year. And The Alternate Me, which will be the second effort by Fiction Syxx is already partially written and recorded. Our label mate, Andrew McNeice, and the members of Fiction Syxx are working to get the name and the music out there and we hope that everyone finds a connection to all or in part of the release. Visit Fiction Syxx’ official website for more info and news.